Click here for the Orchestra Website maintained by our Director, Paul Trapkus, which includes information just for Orchestra students and parents, including up to date event and rehearsal schedules. To contact Mr. Trapkus, please email him at trapkus_paul@svvsd.org. A native of Davenport, Iowa, Paul Trapkus is an active music teacher, performer, and composer. 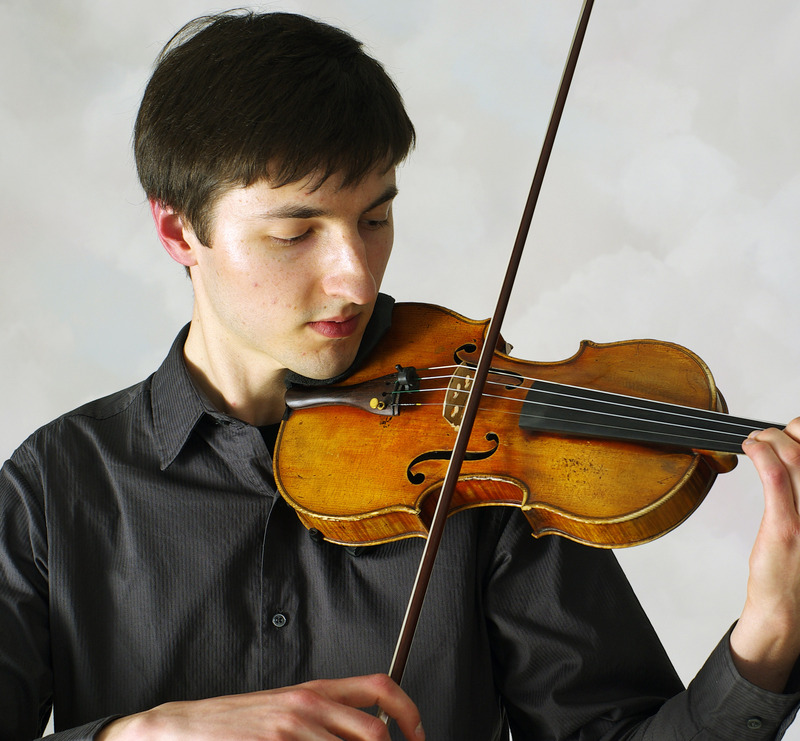 He received his Bachelor of Music degree in Music Education and Violin Performance from the University of Michigan, where he studied string pedagogy with Robert Culver, one of the most sought-after string educators in the country. As a faculty member of the Flint School of Performing Arts, one of the largest performing arts schools in the nation, Mr. Trapkus taught beginning through intermediate string classes and private lessons to students of all ages. He assisted in teaching many middle school and high school orchestras in Michigan and Iowa. A proponent of student-centered, constructivist learning, he has an article published in the Michigan Music Educator detailing practical ways to allow high school orchestra students to compose their own music without sacrificing performance standards. Since 2010, he has taught at Silver Creek High School, where he introduced Fiddle Group, Composition Club, Orchestra Weightlifting Club, a collection of music appreciation videos, and a mentoring program. He also maintains a private studio and serves on the board of directors for Longmont Youth Symphony and Colorado All State Orchestra. He has served as chair for Combined League Honor Orchestra and as a judge for local and regional orchestras, festivals, and competitions. His compositions, some of which can be found at imslp.org, have been performed throughout the country and in other countries. As a performer, Mr. Trapkus currently plays in the Boulder Philharmonic Orchestra and the Boulder Chamber Orchestra and played in the Flint Symphony Orchestra for three years. He also played in the Grammy-winning University of Michigan Symphony Orchestra for four years and performed in Carnegie Hall with the group. He has played in master classes with Gregory Fulkerson, Andrés Cárdenes, Curtis Macomber, Jonathan Swartz, Almita Vamos, Jacques Israelievitch, Nachum Erlich, Leopold La Fosse, Annette-Barbara Vogel, Norman Paulu, Diane Nicholeris, and the Arianna, Johannes, and Guarneri String Quartets. For the past 10 years, he has participated in summer music festivals with scholarships, including the National Repertory Orchestra, Round Top Festival Institute, Chautauqua Music Festival, Meadowmount School of Music, and Interlochen Music Camp. In 2005, he performed as soloist with the Quad-City Youth Symphony Orchestra and with the Preucil School String Orchestra in a tour of the Czech Republic, Hungary, and Austria. His primary teachers include Aaron Berofsky, Kathryn Votapek, and Doris Preucil. Concert Orchestra – This orchestra is open to students of any level, and no audition is required. Concert Orchestra performs four concerts per year, including a Pops Concert featuring music chosen entirely by the students. Symphonic Orchestra – This is an advanced orchestra consisting of students accepted by audition. Symphonic Orchestra performs four or more concerts per year, including the Madrigal. Fiddle Group – All instruments are welcome in this group. We meet Thursdays, 5:00-6:30 and play fun Irish and Scottish tunes. We perform several times throughout the year, including a performance on Pearl Street. Composition Club – This is for any students interested in writing their own music. We meet Tuesdays, 2:30-3:30 in the A-Wing computer lab and use notation software. Basic knowledge of music theory is recommended but not required. Guitar – This class is open to students of any guitar-playing ability, including beginners. Students learn the basics of guitar playing while working on their favorite songs in small groups. Small Ensembles – This year-long course provides an opportunity for advanced instrumentalists to collaborate in duets, trios, quartets, and quintets. All students also prepare advanced repertoire in a chamber orchestra without a conductor. Students will develop skills and knowledge related to score study, ensemble listening, rehearsal strategies, working effectively in small groups, and performance. The chamber orchestra and small groups perform at all orchestra concerts and a recital. All rehearsals and performances are required. This class generally requires concurrent enrollment in a larger instrumental ensemble, such as Concert Orchestra or Symphonic Orchestra.